American Airlines Center and Victory Park Development, Dallas, Texas. 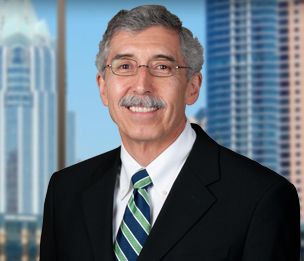 Keith led the environmental legal team that oversaw the remediation of the 72-acre Victory Park development in Dallas, and he oversaw the contracting for demolition, remediation and construction associated with American Airlines Center and the Victory Park development. This project was the largest EPA Brownfield development in the U.S. and, as a result of this work, his law firm received the Texas Environmental Excellence Award from the State of Texas. Environmental analysis of assets of an oil-related business. Keith led the legal and environmental consultant team that analyzed and assessed the potential environmental risk associated with the acquisition of international assets of an oil-related business and advised client on price adjustments to offset risk. Administrative proceeding for the Texas TGV. Keith was part of the team that secured the franchise for the Texas TGV Corporation from the Texas High Speed Rail Authority in the early 1990s. Is a LEED Accredited Professional (LEED-AP) and an Associate Member of the American Institute of Architects. As a LEED-AP, he has demonstrated a thorough understanding of green building practices and principles, as well as the LEED Rating System. Air Force Memorial. Drafted construction contracts for the Memorial in Washington DC.